There is also a need in our District and community for a ground level access fitness center that is available for student, athlete, and community use that will include state-of-the-art cardio equipment, weight equipment, and an area for aerobics and other fitness-related training. Over the past ten years, our District and Parks, Recreation, and Community Education (PRCE) have been awarded three federal Carol M. White PEP Grants in the amount of $1,729,680 to enhance our Health, Physical, and Nutrition Education programming, along with professional development for staff. Thanks to the grants, we have also been able to upgrade all of our equipment in our Watchdog Wellness Center, including both weight equipment and fitness-related equipment. The equipment is state-of-the-art and as a result, we have received numerous requests from community members, parents, alumni, and students asking for key fobs so they could utilize our District’s Wellness Center when it is convenient for them. Unfortunately, our District is currently not in a position to issue key fobs and accommodate all of those that have asked. At this time, we do not have the staffing or the means to maintain a 24 hour/7 days a week fitness center to be used at any time, including the wear and tear on equipment, as well as the liability concerns. Our District’s Wellness Center is located in the balcony of our gym. It is not an ideal location as you have to access the school, the gym, and head up steps to the fitness center, and then access through another set of doors. It is our preference to have ground-level access to the fitness center with parking in close proximity. We would like to have adequate space for our weight equipment, cardio and fitness-related equipment, as well as an area for stretching/flexibility exercises, aerobics, yoga, etc. We would like to have restrooms and showers available in the fitness center. We would like to have the fitness center in close proximity and connected to our gyms, wrestling room, and training room, as well as our football/track and field complex. Most importantly, our District would like our community to have access to the fitness center. As a result, our District has been in conversations with business entities who manage memberships, provide oversight and training opportunities, and supervise community-access fitness centers. Thus far, the conversations have been very positive and they have interest in the potential of forming a future partnership with our District and community. In forming a future partnership, there would be professionals overseeing proper training and safety, equipment maintenance and replacement, as well as cleanliness and proper sanitation too. 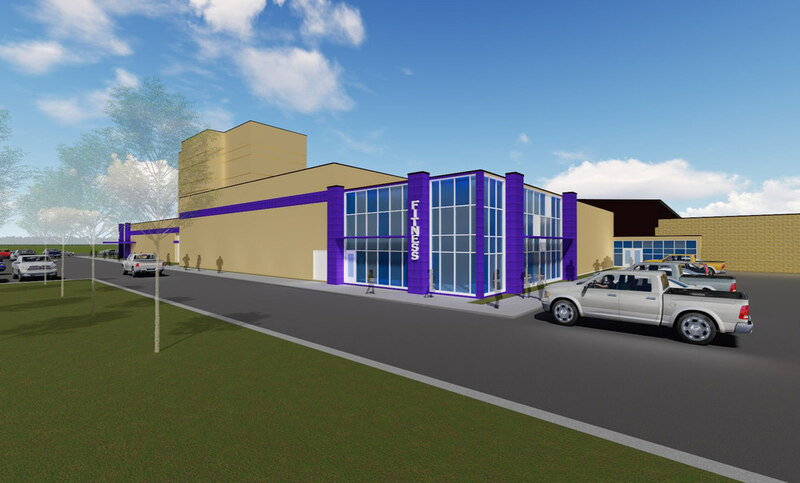 We are excited about the future of our community-access fitness center and hope that you too would support this concept for the betterment of our community.